The Maverick family grew even stronger this summer with the addition of Teik C. Lim. Dr. Lim joined UTA as provost and vice president for academic affairs. Lim previously served as dean of the College of Engineering and Applied Science at the University of Cincinnati. In his five years there, he helped guide the university through significant growth in enrollment, reputation, faculty size, corporate partnerships, research funding, and endowments. "I would like to thank the search committee for recruiting an exceptional scholar, researcher, and advocate of collaboration and global engagement," says President Vistasp Karbhari. In his role, Lim works closely with Dr. Karbhari to provide overall leadership for the campus. As provost and vice president for academic affairs, he oversees academic administration and student success programs. 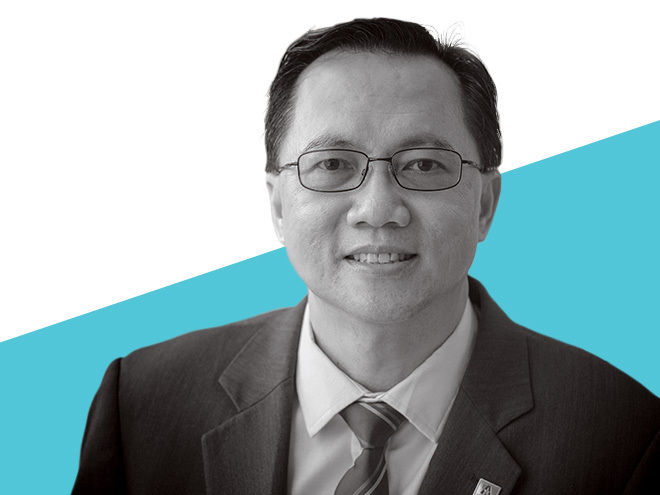 "UTA's aspiration to become the model 21st-century urban research university, an institution on the move, and the outstanding team President Karbhari has assembled are what attracted me to this position," Lim says. "The University already has all the necessary elements to achieve its ambition. I believe my experiences position me well to collaborate with the deans and faculty effectively and to support UTA's commitment to access and excellence."